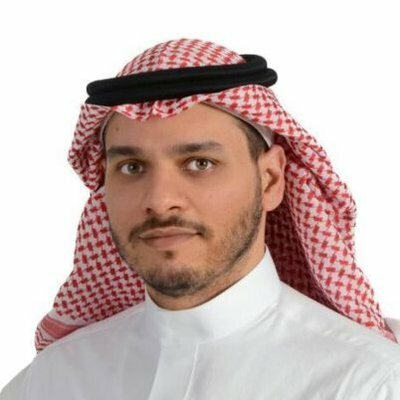 Saudi King Salman and Crown Prince Mohammed bin Salman called slain Saudi journalist Jamal Khashoggi’s son, Salah, to express their condolences, the Saudi Press Agency said late on Sunday. Saudi Arabia has said that Khashoggi, a prominent journalist and critic of Saudi rulers, died in a fight inside its Istanbul consulate – after two weeks of denials that it had anything to do with his disappearance. In a related development Saudi Arabia on Sunday called the killing of journalist Jamal Khashoggi at its Istanbul consulate a “huge and grave mistake,” but sought to shield its powerful crown prince from the widening crisis, saying Mohammed bin Salman had not been aware. The comments from Foreign Minister Adel al-Jubeir were some of the most direct yet from Riyadh, which has given multiple and conflicting accounts about Khashoggi’s killing on Oct. 2, first denying his death and later admitting it amid an international outcry. “This was an operation that was a rogue operation. This was an operation where individuals ended up exceeding the authorities and responsibilities they had,” Jubeir said on the U.S. broadcaster Fox. Jubeir said the kingdom did not know where the body of the slain journalist was. Jubeir said the Saudi leadership initially believed Khashoggi had left its consulate in Istanbul, where he was last seen on October 2. But following “reports we were getting from Turkey,” Saudi authorities began an investigation, which discovered he was killed in the diplomatic mission. While Jubeir’s comments on Sunday were some of the most direct yet from Riyadh on the case, the series of conflicting accounts from the House of Saud has undermined global confidence in ties with the world’s top oil exporter. In his interview on Fox News, Jubeir insisted the current strains in US-Saudi relations would eventually be overcome. “The individuals who did this, did this outside the scope of their authority. There obviously was a tremendous mistake made, and what compounded the mistake was the attempt to try to cover up,” Jubeir said. The top Saudi diplomat maintained the operation in Istanbul was not ordered by Crown Prince Mohammed bin Salman, despite reports tying some suspects to members of the Saudi de facto ruler’s security detail. “There remains an urgent need for clarification of exactly what happened on October 2nd — beyond the hypotheses that have been raised so far in the Saudi investigation, which need to be backed by facts to be considered credible,” said the three EU nations. “We thus stress that more efforts are needed and expected towards establishing the truth in a comprehensive, transparent and credible manner,” they added. Several senior members of Trump’s Republican Party said they believed Saudi Crown Prince Mohammed bin Salman, the kingdom’s de facto ruler, was linked to the killing, and one called for a “collective” Western response if a link is proved. But Trump stopped far short of calling for the prince to be replaced, emphasising as he has before how important the US-Saudi relationship is to Washington’s regional strategic goals. Turkish President Recep Tayyip Erdogan on Sunday vowed to reveal the full truth over the killing of Khashoggi at a meeting with his party MPs on Tuesday. “We are looking for justice here and this will be revealed in all its naked truth, not through some ordinary steps but in all its naked truth,” Erdogan told a rally in Istanbul. Erdogan however voiced skepticism over the official Saudi version of the events. “Why did those 15 men come here? Why were 18 people arrested?” asked Erdogan. The Turkish leader has so far refrained from making strong statements about the death of Khashoggi, often referring to a prosecutors’ investigation into the killing. Analysts see this as an attempt to avoid provoking a full rupture in Turkey’s relations with Saudi Arabia. Turkey’s Anadolu agency said early on Monday that Erdogan and US President Donald Trump had spoken on the telephone and agreed that “all aspects” of the case needed to be cleared up.